mDNS / Bonjour tool for OS X Now Available in App Store. My new mDNS Tool for Mac OS X is now available in the Mac App Store. View it on the App Store or search the Mac App Store for “mDNS Tool”. 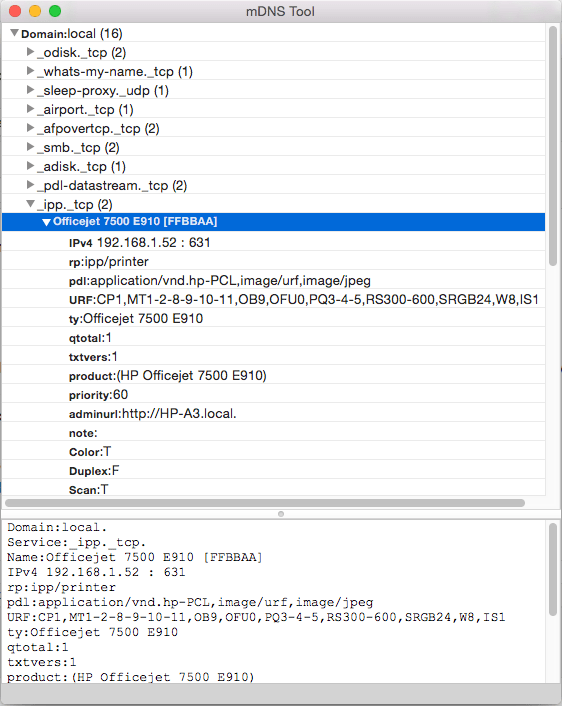 The tool allows you to browse and find all the mDNS / Bonjour services and devices on your network. Bonjour is Apple’s name for their implementation of mDNS, which is used to advertise and locate devices and services on the network. List all mDNS / Bonjour devices on your network. Find the address of devices and services. See all the device details, not normally shown in network browsers. Find IPv4 and IPv6 Addresses for devices. Copy details to the clipboard. No drivers or libraries required.